Yay! Barcelona won the champions league! This is an easy salad, and wait a second, my mom invented this salad, all rights reserved! 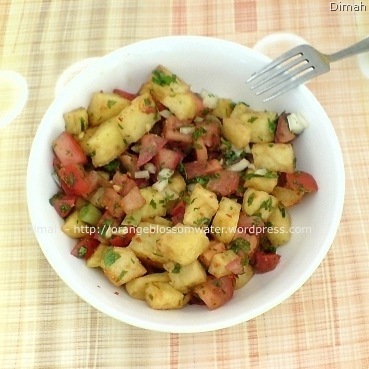 Salatet Batata Meqliyeh means fried potato salad. It is delicious with chicken skewers, or meat Kebab. There are no measurements of ingredients, I leave that up to you. 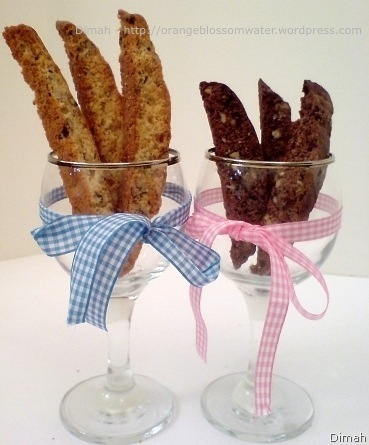 Syrians love olive oil, we use it in many dishes, and kousa Bez-Zeit is one of them. 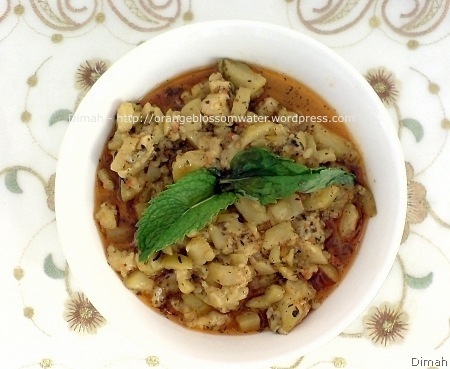 It consists of vegetable marrow (marrow squash), cooked in olive oil, garlic, dried mint, sweet paprika, salt and water. Just simple, easy and delicious. Kousa means vegetable marrow and Zeit means oil. This can be served for lunch, dinner and as a snack. I remember in an interview with president Dr.Bashar, one of the questions was “What is your favorite Syrian food?” and he replied “Foods prepared with olive oil”. Ouzi is a luxury dish from Damascus, Syria. The preparation of Ouzi requires some effort and time, but the end result is truly delicious. Ouzi is one of the most important dishes in Damascus, served at weddings. 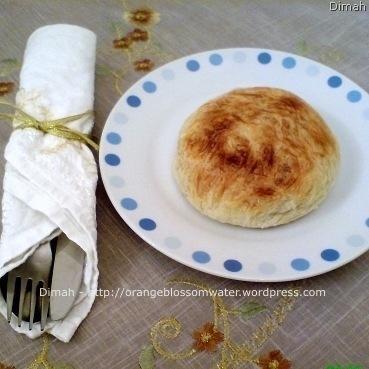 To prepare Ouzi, you need the dough which is ‘Ajineh Mwarraqah, and the filling. 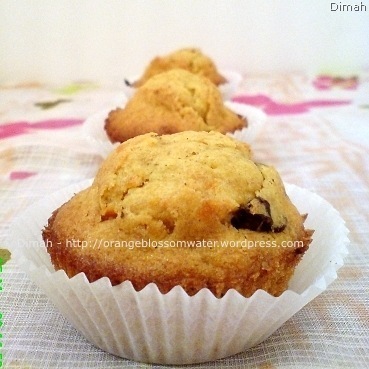 I baked these cupcakes for breakfast, for two reasons: first, they are almost healthy because of the carrots. Second, they are low saturated fat because of the use of vegetable oil. I preferred to skip the maple cream cheese frosting, but maybe next time I’ll try it.